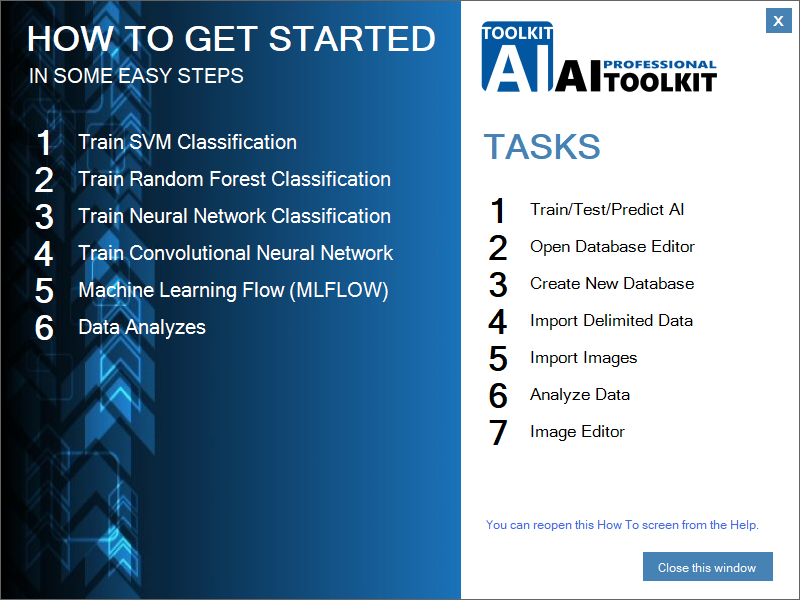 The AI-TOOLKIT is an Artificial Intelligence (AI) Software Toolkit for easy training, testing and prediction of state of the art machine learning models and for creating machine learning flow (several AI models working seamlessly together). No programming skills are needed at all for building and using state of the art machine learning tools! 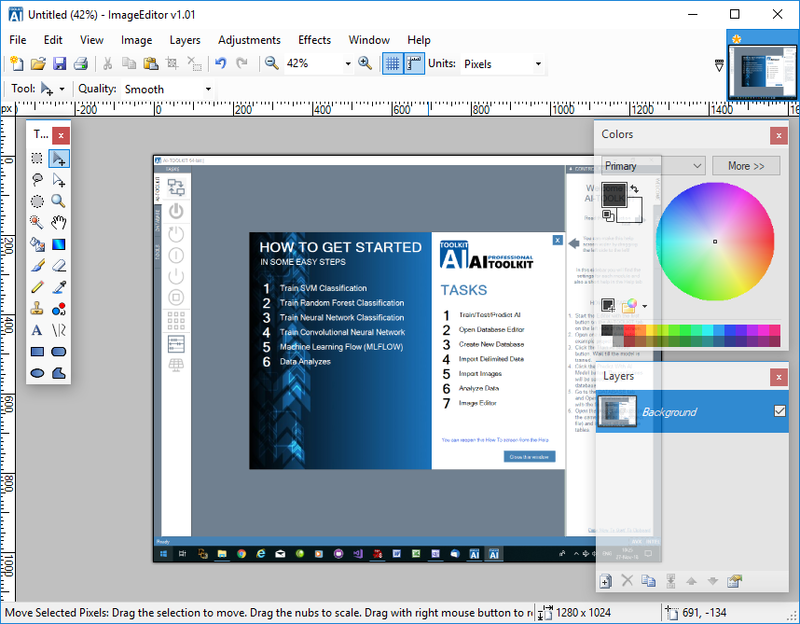 The AI-TOOLKIT is compatible with MS Windows 64-bit 7, 8, 10 and above and requires a CPU released after 2012 (including the AVX processor extension). The software is optimized for Intel processors including the AVX processor extension but it will also work on other processors having the AVX extension. Most of the processors released after 2012 have the AVX extension (except some low cost laptop processors). Easy to use and contains several types of machine learning models which can be used separately or connected to each other (ML Flow). There is also a built-in very fast SQL database in order to make the storage of your machine learning data compact and easy. The database supports several GB's of data storage and several databases can be used even in one project. Support Vector Machine (SVM) Classification and Regression. 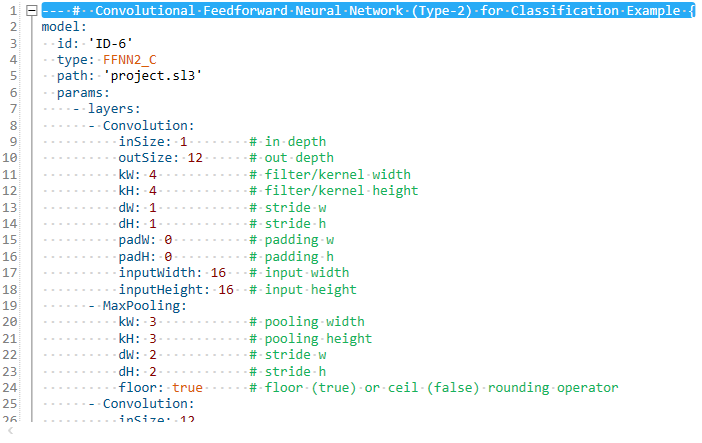 Feedforward Neural Network for Classification and Regression with many layer types. Convolutional Feedforward Neural Network for Classification. You can use the built-in machine learning models separately (training and prediction/inference) or you can build a larger AI system in which several AI models are working together in a flow. Working together in a flow means that one machine learning model may use the output of one or more other machine learning models in a continuous running AI system. There are several easy to apply machine learning model templates built-in which makes building a complex AI model very easy by using just some mouse clicks. You can train and test your models easily. 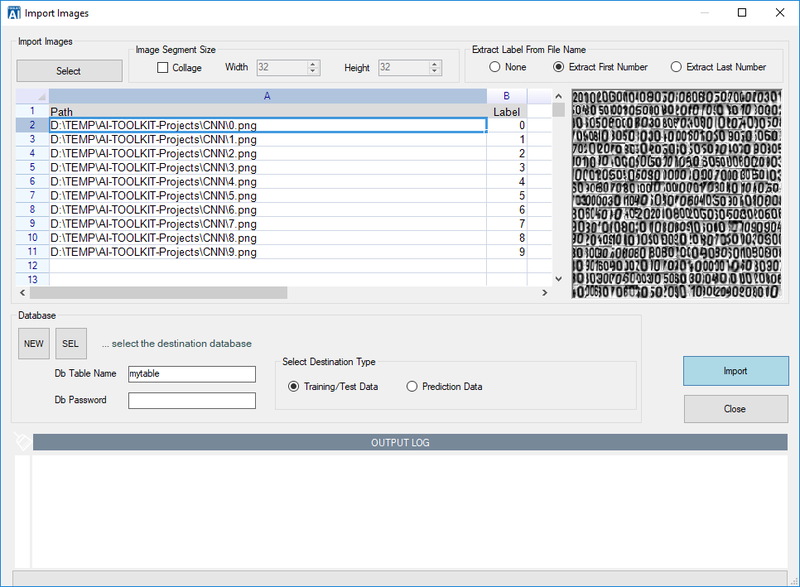 You can import any delimited text data file. You can also import images which will be converted automatically to machine learning data and saved into the database. There is an easy to use database editor which can be used to view and update all AI-TOOLKIT databases. The database editor and the AI-TOOLKIT both support encrypted databases in case you need to secure your data. Expert information: The AI-TOOLKIT is hardware accelerated in several ways for maximum speed and performance. It is optimized for Intel processors released after 2012 including the AVX processor extension. It will also work on other processors having the AVX extension but much faster on an Intel processor because it takes advantage of the Intel processor architecture. In case the AVX2 processor extension is available then it will also be used for speeding up the calculations. Most of the processors released after 2012 have the AVX extension (except some low cost laptop processors). The number of processor cores is also important, the more cores the faster the software will be! In case you intend to professionally use AI in your business then it is recommended to obtain a recent multi-processor core PC. Read also: For what can you use the AI-TOOLKIT? * FREE for non-commercial use. Fully functional version! Get the serial number for free: In case you do not have a serial number then register on the AI-TOOLKIT Helpdesk (please fill in your real name and e-mail) and get automatically the serial number. The AI-TOOLKIT editor is an easy to use special syntax colored text editor (specifically developed for the AI-TOOLKIT AI definition format) in which you can define your machine learning models and AI systems. One project file may contain several machine learning models which may or may not be connected to each other (machine learning flow). The syntax is very simple and no programming skills are needed. The image hereunder shows one of the example projects the SVM Classification Example. Please note that there are several other types of AI models available as for example neural networks, random forest, etc. (see later). The syntax follows the YAML format with special symbols defined for the AI-TOOLKIT. Without programming skills you can make sophisticated machine learning models. There are only a few simple rules (e.g. the indentation, the use of - (dash) and : (colon), etc.) and pre-defined symbols as for example C_SVC, RBF, etc. Everything is explained in the built-in help. With the Insert Template button you can insert a pre-defined model for each model type into the editor. You only have to change the values of the parameters or insert some more elements (e.g. neural network layers). This makes it very easy to make your AI models. The support vector machine model has several parameters which can be defined as shown in the former image. This is the SVM classification model, for a regression model there are some other parameters which are explained in the built-in help. You can use the Insert Template feature to define this and any other model easily. There is also a built-in SVM Parameter Optimization Module. 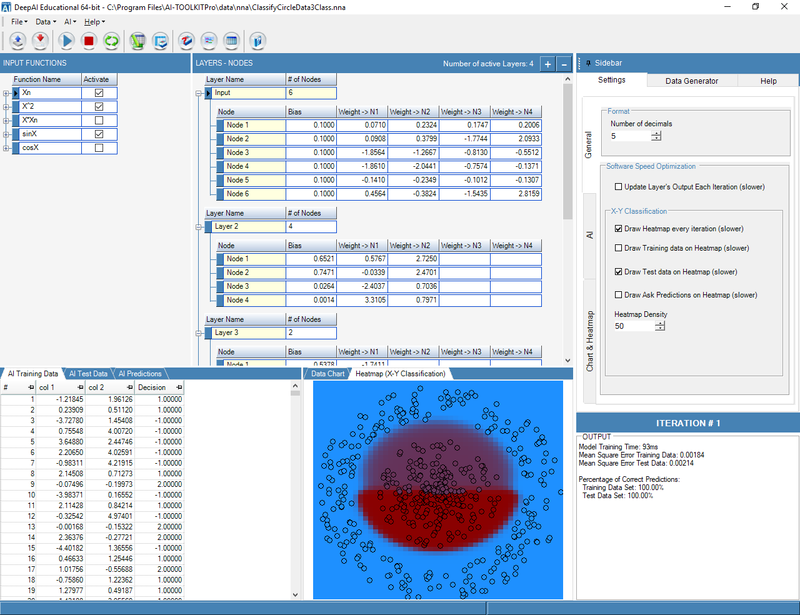 With the parameter optimization module you can automatically determine the optimal combination of the parameters influencing the SVM model. Depending on the chosen AI Model (Classification or Regression) and the Kernel Type there are different parameters which are being automatically optimized and used. The data for training, testing and for prediction is stored in the database. You can define the database table names with the 'data_id' parameter easily. The decision variable is defined with 'dec_id'. 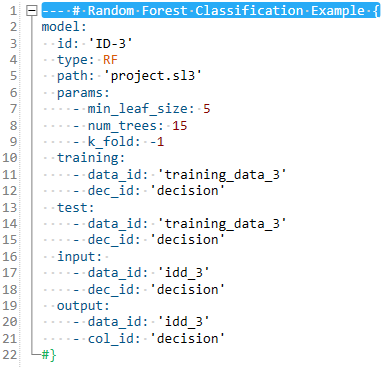 It is also possible to get the data for an AI model from several database tables (by defining several data_id's). The Random Forest model has also several parameters which can be defined similarly to the SVM parameters. With this model you can build complex feedforward neural networks easily. Linear : Most of the time the first layer in non-convolution neural networks. LinearNoBias : Linear but bias is not added. DropConnect : 1 optional parameter ‘ratio’. TanHLayer : 1 parameter: number of nodes (‘nodes:’). SigmoidLayer : 1 parameter: number of nodes (‘nodes:’). ReLULayer : 1 parameter: number of nodes (‘nodes:’). LeakyReLU : 2 parameters: number of nodes (‘nodes:’) and the non zero gradient can be adjusted by specifying the parameter ‘alpha:’ in the range 0 to 1. PReLU : 2 parameters: number of nodes (‘nodes:’) and the non zero gradient can be adjusted by specifying the parameter ‘alpha:’ in the range 0 to 1. FlexibleReLU : 2 parameters: number of nodes (‘nodes:’) and the non zero gradient can be adjusted by specifying the parameter ‘alpha:’ in the range 0 to 1. SoftPlusLayer : 1 parameter: number of nodes (‘nodes:’). Dropout : 1 optional parameter ‘ratio’. BatchNorm : Transforms the input data into zero mean and unit variance. The mean and standard deviations are computed across the batch. LayerNorm : Transforms the input data into zero mean and unit variance. The mean and standard deviations are computed across the layer dimensions. This model has the same parameters as the former regression model. The rest is done automatically in the software. This model (type: FFNN2_C) is a special hardware accelerated convolutional neural network. This is the fastest non-cuda accelerated convolutional neural network implementation. Convolution : with several parameters. MaxPooling : with several parameters. MeanPooling : with several parameters. Building a convolutional neural network is not easy but the AI-TOOLKIT has some built-in features which make it easy. Two of these features are the easily applicable templates and the Convolution Network Calculator App (see later). The app is a simple built-in spreadsheet in which you fill in the green cells and get automatically the results. When you are ready you can copy the automatically generated AI-TOOLKIT script (see the code example in the Convolutional Feedforward Neural Network Classification Model section) and paste it into the project file. You will need a minimum understanding of convolutional networks in order to be able to build one but no programming skills are needed! With these modules you can train, test and predict individual models defined in the project file. You will be able to select which model you want to use. The results will be saved directly into the database defined in the project file (trained models, test results, predictions, etc.). You can use this module for continuous training and prediction of several (possibly to each other connected) models. After you push the Start Auto ML Flow button the software will cycle through all models in the project file and will train them if necessary. It will check the database for new prediction requests and will do all open predictions too. All prediction results will be saved into the database as defined in the project file (input, output). You can build complex AI systems in which several AI models are working together (with connected input and output). You can also add data to the database with an external application while Auto ML Flow is running and in this way connect e.g. your business processes to an AI system. The AI-TOOLKIT database is a very fast built-in SQLite database with some pre-formatted special tables which are setup automatically by the software. You do not need to have database skills for using the software. One of the advantages of using the built-in database is that all of your data is stored in one place (can be several GB's). You can of course use a separate database for each of your projects or even per AI model. 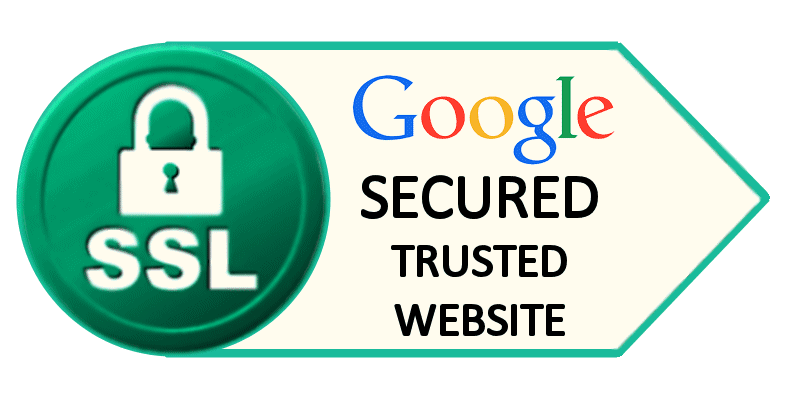 The database can be encrypted in case you need extra security. With this module you can import any delimited data file into the AI-TOOLKIT database. With this module you can import any image or image collage (several images in one larger image) into the AI-TOOLKIT database. The images will be converted automatically to the necessary AI format. 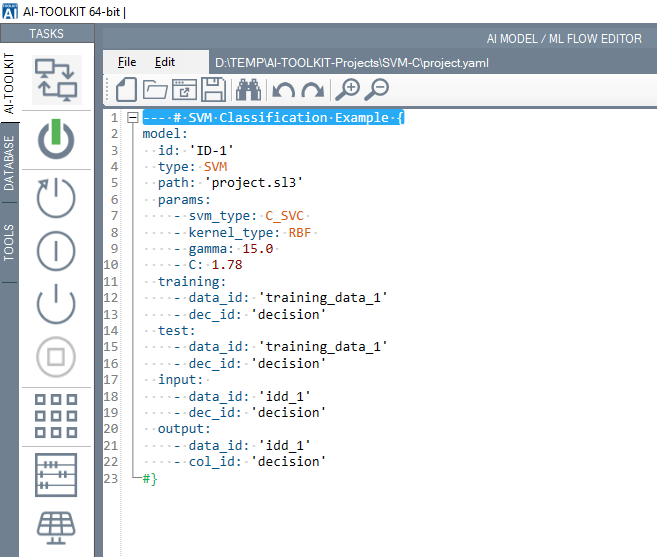 With this module you can analyze the data defined in the AI-TOOLKIT project files (for each AI model). The data will be collected exactly as you define it in the project file and thus it may come from several database tables. 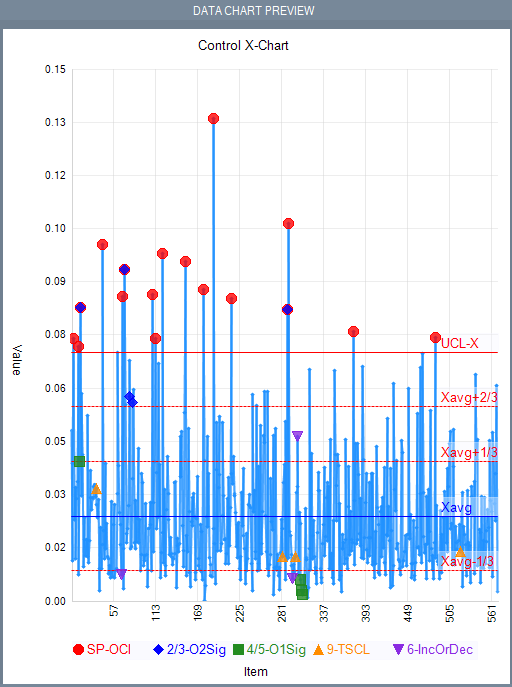 You can also choose to show the Control Chart of the selected column. You can select the desired column (Select Data Column) for which all analyzes results and charts will be shown. 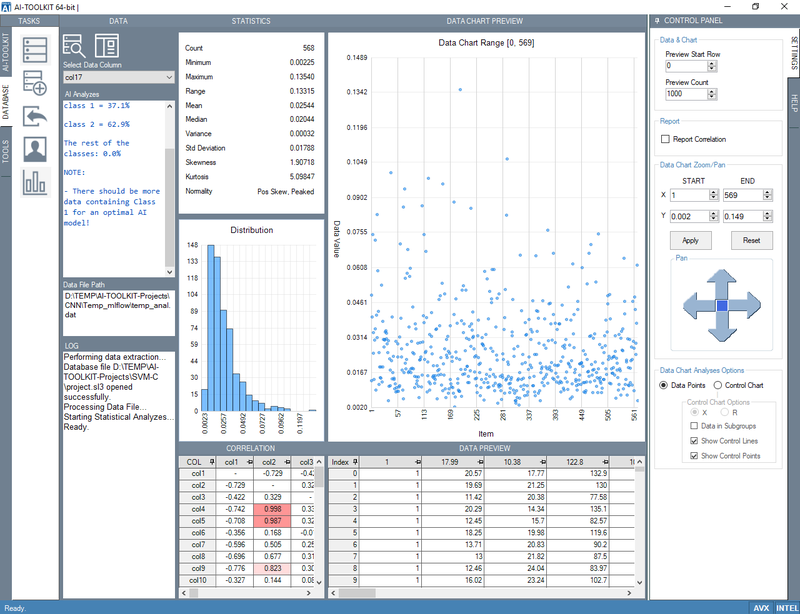 The Data Chart Preview and the Data Table Preview may contain only a subset of your data. You can choose the subset in the right sidebar (preview start row, preview count). In the correlation table the correlation between all columns are shown. High correlations are highlighted with darker colors. The Statistics table shows the most important statistics of the chosen data column. The AI Analyzes short report on the left side of the screen summarizes some important aspects of the data quality for AI model training. There are several settings and pan/zoom options in the right control panel for the main data chart. The blue arrows pan and in case if the chart is at the end or beginning of the axis then also zoom the data chart. In the Data Chart Analyzes Options you can choose to show the data or a control chart (X or R). Control charts give often very useful extra information about the data which may be used e.g. for root cause analyzes of problems or variation analyzes. The better the quality of your data the better your AI model will be! You can automatically generate a PDF, MS Word, etc. report with the Analyzes results by using the built-in Report generator and viewer (Generate Report button). You can select in the right control panel whether you want to report the correlation between the data columns. You can also print the report. 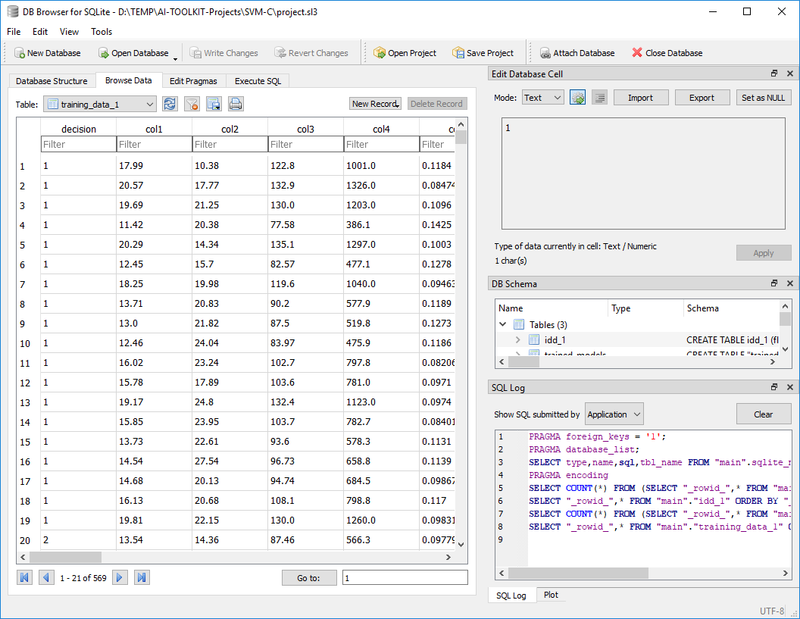 The built-in sophisticated database editor can be used for manual editing or viewing of the AI-TOOLKIT databases. You do not need database skills for the AI-TOOLKIT but with this tool you you can perform even complex database queries, encrypt/decrypt the database, edit database tables, etc. The built-in sophisticated image editor can be used to edit (reduce noise, sharpen, change color, add special effects, etc.) 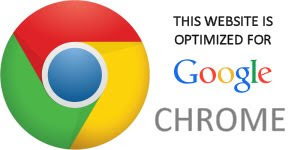 or convert images (png, jpg, gif, tif, svg, pcx, psd, etc.) and to create an automatic image collage (several images in one larger image). An image collage can be used as input to the AI-TOOLKIT and makes the definition of the labels (classification) easier. The software also extracts the labels automatically from the file names (if they are defined). DeepAI Educational is included in the AI-TOOLKIT distribution. Multi-layered and multi-node deep neural networks made easy and visible! Despite the fact that deep neural networks modeling is a complex task DeepAI makes this task simple by intuitively and automatically applying design patterns to your problem. Even someone without knowledge of neural networks may train DeepAI successfully. The task of neural networks modeling is, roughly speaking, reduced to just choosing the input functions, the number of layers and the number of nodes per layer. Each node is automatically connected to the next layer's nodes and like this the neural network is formed. This is not a state of the art neural network modeling tool but rather an educational tool which helps you to understand how deep neural networks work! If you need a state of the art AI tool then use the AI-TOOLKIT explained here above. For what can you use the AI-TOOLKIT? You can use the AI-TOOLKIT for many different purposes. The possible applications are endless: AI research, Business process improvement, decision making in several disciplines (management, marketing, finance, etc. ), security applications, knowledge management, illness and cure discovery, R&D in all disciplines and sectors, making decisions about buying/selling stocks on the stock exchange, etc. Business processes can often be modeled depending on data which is originating from the different steps in the business process itself. For example the interaction of the users with the process steps may generate data at each step. This data can then e.g. be used to make decisions about which next process step to take. It is also possible that the data is rather complex containing many variables (many columns of data) and/or that it would be beneficial to automate the process step without the intervention of the process managers. The AI-TOOLKIT can be easily connected to any business process management (BPM) or ERP software and automate the processes with several trained AI models. And all of this without the need for programming skills! AI-TOOLKIT and the AI-TOOLKIT Artificial Intelligence Engine are (C) Copyright 2016-present Zoltan Somogyi, All Rights Reserved. For more information and third party copyrights see the software documentation and the included license agreement in "License.rtf".